In Jesus’ letter to the Ephesian church, He said, “I have this against you, that you left your first love” (Rev. 2:4, WEB). We’re not told exactly what that first love is, but since the first commandment is to love the Lord your God I don’t think it’s too much of a stretch to say the Ephesians’ problem was related to losing touch with the greatest commandments. That’s the general principle for knowing whether or not you have a relationship with God. If you’re becoming more like Him, then you have fellowship with Him. But if you’re not following His ways, then you’re not His friend. 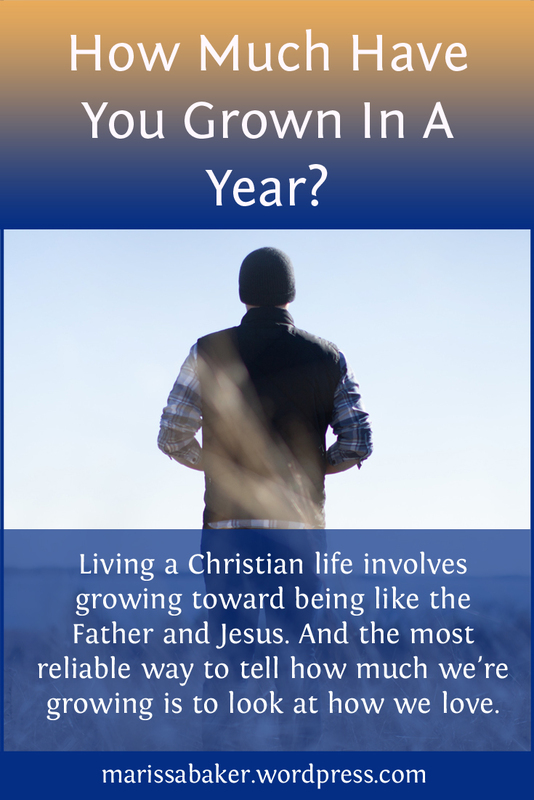 A variation on the question, “How much have I grown in a year?” would be to ask, “How much more am I now like Christ than I was a year ago?” We have plenty of information in the Bible about how Jesus lived while He walked on this earth, as well as revelations regarding the character of God and the conduct He expects from His people. And while this can get very specific, it all boils down to those two great commandments about love. What John’s epistle shows us is that we can tell how close we are to God by how much we love Him. And the ways for us to tell how much we love Him are 1) if we’re keeping His commandments, and 2) if we love the people around us. Jesus said, “If you love me keep my commandments” (John 14:15, see also 14:21, 23; 15:10, 14). It’s just something we do if we really love God — not because we’re trying to earn His love but because that’s what someone who loves God does. A God-lover becomes more and more like Him and internalizes His way of life. And that’s the same reason why we love our brethren — because we’re becoming like the God who was willing to die for His brethren. This knowledge presents us with a hard truth. If you claim to love God but ignore Biblical instruction on how to live and/or hate your neighbors and fellow Christians, then you’re lying about having a relationship with God (1 John 2:4; 4:20). And if you find yourself in that state it’s your responsibility to acknowledge your sin and make some changes. We’re told that the children of God shouldn’t sin. But sin is something that we’ve all been guilty of, and when we do fall short of God’s perfect standard “we have an advocate with the Father, Jesus Christ the righteous” who died to cleanse us from sin (1 John 2:1; 1:7). He gives us the opportunity to stop walking in darkness, ask for and receive forgiveness, and start walking in the light. John didn’t write about what it means to be an authentic Christian in order to make us feel condemned or “not good enough.” He says, “These things I have written to you who believe in the name of the Son of God, that you may know that you have eternal life, and that you may continue to believe in the name of the Son of God” (1 John 5:13, WEB). 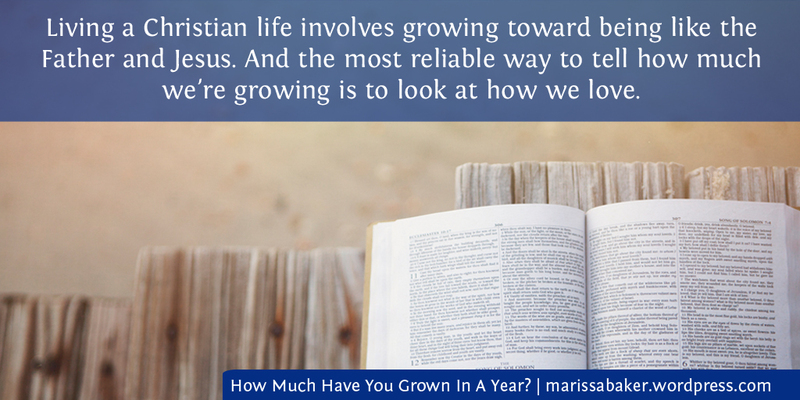 The most reliable way to tell how much we’re growing is to look at how we love. And being able to take see and measure how well we’re doing in our quest to follow Christ is going to help us grow towards eternal life. ← Who Was “God” In The Old Testament? Thank you . . . this was just what I needed to hear today. Your clear, biblical exposition and faithful encouragement has hit home again.